You are here: Home / Uncategorized / Trick or Treat! We Want the Candy! Trick or Treat! We Want the Candy! Next week princesses, super heroes, ghouls and goblins will be knock on your door shouting … Trick or Treat! And you know what those cute little things want. They want candy! But not just any candy, they want the good stuff. According to the DailyMeal.com there actually are favorites. Will you have any of these in your treat bowl? 5. Starburst: This chewy, fruity candy that leaves your mouth watering used to be called Opal Fruit when it launched in Britain in 1960. But now we know them as Starburst and we love them. 1,705,007 pounds of Starburst are bought for Halloween; let’s hope there are plenty of pink ones in there! 4. Reese’s Cups: Reese’s Peanut Butter Cups, in mini form and in pumpkin and bat shapes, may be the most beloved Halloween candy, but they’re only the fourth most popular. 1,969,984 pounds are sold in anticipation of the spookiest night of the year. 3. Snickers: Snickers combines nougat, caramel, peanuts, and chocolate to create a chewy, tasty candy bar that everyone loves. Both buyers and trick-or-treaters will be fulfilled this Halloween season, with 2.2 million pounds sold. 2. M&Ms: Is there any Halloween candy more classic than M&M’s? Whether they’re peanut, caramel, crispy or plain, these little chocolate buttons are everywhere for the Halloween season; 2,472,032 million pounds are bought for the holiday. 1. Skittles: Skittles is one of the most-liked brands on Facebook, with over 23 million people liking these fruity candies, and it’s the most-liked and most purchased Halloween candy, according to CandyStore.com. Just how popular are these fun and fruity candies? They’re the only treat to surpass 3 million pounds sold, with a whopping 3,487,101 pounds sold. And if you didn’t know just how adored Skittles are, then you probably don’t know these other facts about the most popular Halloween candies. 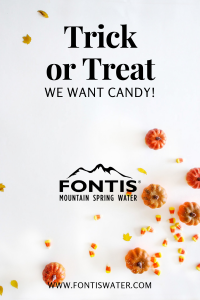 And of course we suggest washing all this wonderful candy with Fontis Water! What? You don’t have Fontis at your house?  Well we can fix that if you call us at 678-494-1981!